If there’s one thing I hope is evident on this blog, it’s that I try to be very forthright with my book reviews. In fact, when it comes to picture books, it’s my policy not to even review books that I would not want to own myself. Because of that, this will never be a place to come if you’re looking for extensive roundups. 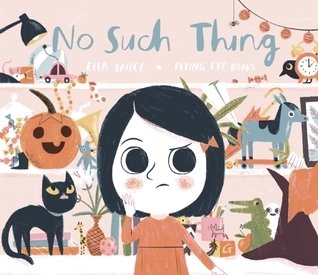 My goal is not to pull together every single picture book I can find on a particular subject and present it to you, but rather, to curate a small group of books that I feel comfortable giving my hearty stamp of approval. Today I want to share a few favorite ghost books with you. This doesn’t even begin to scratch the surface of ghost picture books that are out there. There are, of course, many that we haven’t read, but of the ones we have read, these are some of our favorites. The other books on this list are fairly new (published within the last ten years or so), but not this one. It’s been around since 1944, and now that it is no longer in print, it’s a true treasure. Luckily our library had a copy, but I’m thinking I’ll try to snag a used copy for us. It’s that fantastic. Georgie lives in the attic of Mr. and Mrs. Whittaker’s house. He’s a very useful ghost to have around because every night he makes the loose board on the stairs give a creak and the parlor door give a little squeak, and then Mr. and Mrs. Whittaker know that it’s time for bed. But one day, Mr. Whittaker (being the good husband that he is) decides to tighten up the board on the stairs and oil the hinge of the door, and then they don’t creak or squeak anymore. Georgie is out of a job, and Mr. and Mrs. Whittaker no longer know when to go to bed and so suffer the consequences. This was our first Halloween season with Georgie, but I’ve noticed that there are more picture books in this series. I don’t know how they compare to the original (we’re waiting on one from the library), but if you’ve read any of them, I’d love to know how you liked them. With such a dynamic author/illustrator team, I had high (might I say, very high) hopes for this book, and they were not disappointed. Leo is a little ghost. He has lived by himself in a quiet house for many years. But one day, a family buys the house and moves in. Leo is a gracious host and brings in mint tea and honey toast for the family to enjoy while unpacking. Unfortunately, the family is anything but pleased to find a ghost residing in their house. So Leo goes away. Eventually, he meets a little girl named Jane who immediately embraces Leo as her friend. Her parents are convinced he is just an imaginary friend, and Leo worries that’s how Jane thinks of him, too. Then one night, everything changes, and Leo and Jane’s friendship switches instantly from imaginary to real. This is one of those rare books where the charm of the text matches the charm of the illustrations perfectly. The dialogue is candid and humorous. (One of my favorite exchanges happens right after Leo meets Jane. She wants to play Knights of the Round Table with him, and he asks, “Who is the king?” Jane replies, “I am! That’s why I’m wearing this crown on my head.” But . . . Jane isn’t actually wearing a crown on her head.) 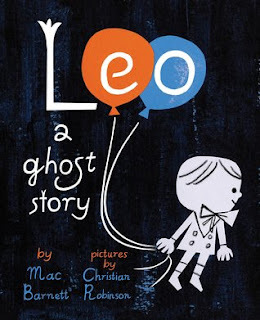 The illustrations use a limited color palette (blues and gray and black), and Leo is just an outline who takes on the color of whatever is around him. Both text and illustrations have a timeless, classic quality to them. 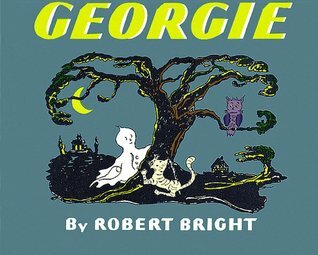 In fact, it reminds me a great deal of the first book I mentioned, Georgie, and also another one from my childhood, Gus Was a Friendly Ghost (a book I tried desperately to find this season and couldn’t, or I might have featured it today, too.) 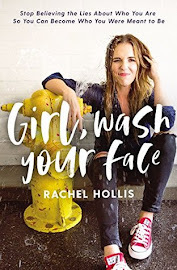 I have a feeling this book, although brand new this year, will be around for a long time. Who doesn't love a good mystery? And what if it's combined with a ghost story? And what if the ghost is a cow? That just takes the cake, doesn't it? When Mr. and Mrs. Noodleman park the moving truck in front of the old, dilapidated farm, they know they're in for a lot of work. But they get at it immediately and soon have a busy (if not yet, thriving) chicken farm (named Chicken Noodle Farm, which I adore). They are excited to start bringing in dozens of eggs every day and making some money, but day after day, they don't find any. Something seems a little suspicious, especially when one night they hear a thump and a creaaak and a clink-clunk and finally a long, low, supernatural Mooooooo! 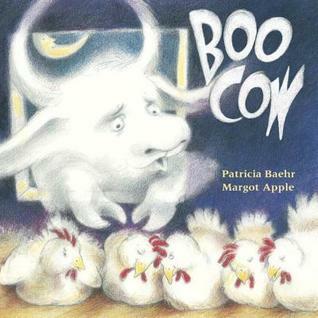 They are convinced that this Boo Cow is the reason behind their lack of eggs. What kind of chickens would want to lay eggs with a ghost haunting their coop? Mr. and Mrs. Noodleman try all sorts of things to get rid of their unwanted visitor, but finally, as you probably have suspected by now, they get to the bottom of the missing eggs . . . and the culprit is not Boo Cow. If the illustrations look familiar in this book, you probably recognize them from the Sheep in a Jeep series. 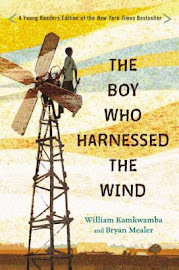 They're the reason I was drawn to this book in the first place, but then the story won me over as well. It's not the same author as Sheep in a Jeep, so don't expect the same kind of limited, rhyming text. But if your kids can handle longer prose (probably ages 4 and up), I think you'll find this one to be a winner. I only just heard about this book myself a couple of weeks ago, but then I rushed to get my hands on a copy. I could just tell it was going to be exactly the kind of book I like. And I was right. Strange things are happening at Georgia's house. There are mysterious drawings on the wall; a vase crashes to the floor; Georgia can't find any socks to wear. Some people might blame all of these unexplainable occurrences on ghosts . . . but not Georgia. She's too clever for that! If I could only use one word to describe this book, it would be "subtle." The text rhymes, but I didn't even realize it until I was through the first three or four pages . . . and not because they were bad rhymes but because they just slipped off the tongue so effortlessly. The illustrations have a retro quality that is easy on the eyes. And then there are the ghosts, who you probably won't notice at first because they're so well-hidden (but despite what Georgia says, they're there). 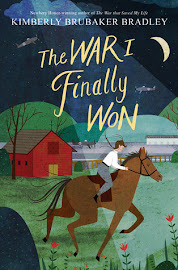 I loved this book on first sight, and I feel fairly confident in saying you won't need to read it more than once before you love it too. 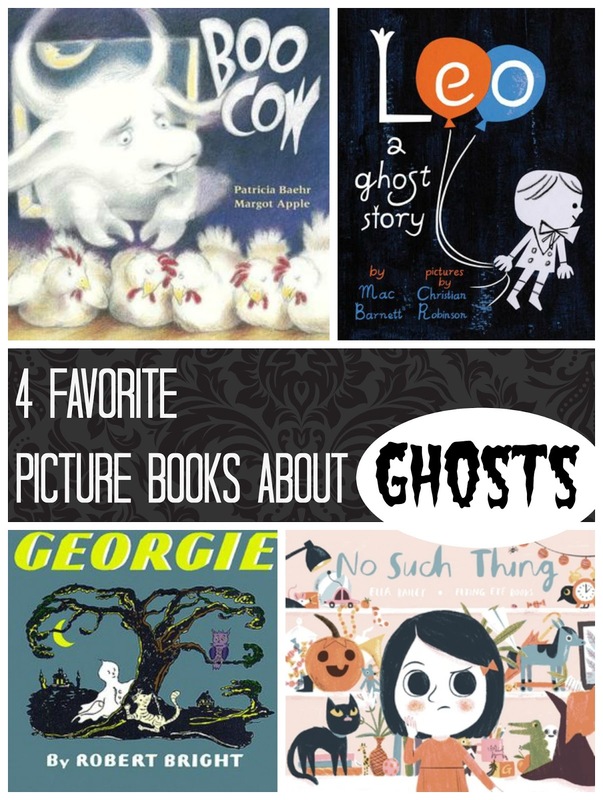 What are YOUR favorite picture books about ghosts?